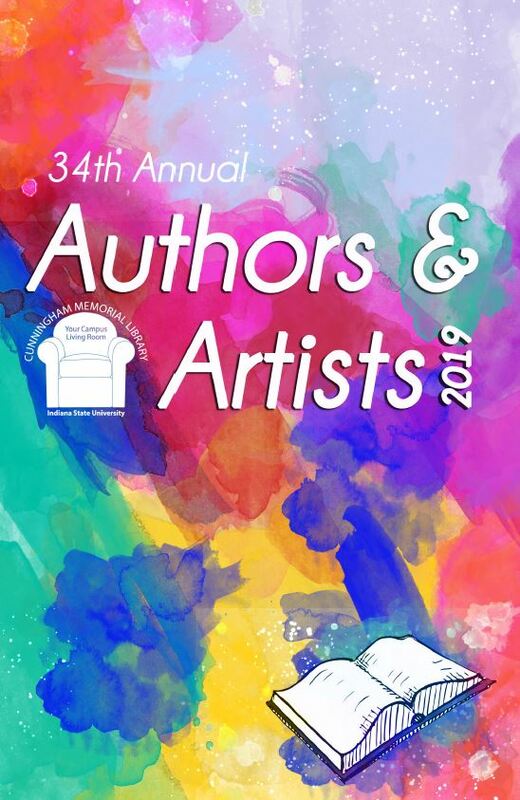 The library’s annual Authors and Artists program is the only campus event that honors the written or artistic material or performance of ISU’s faculty, staff and students. This year’s 34th annual event will feature Indiana State University’s faculty and emeriti who published or created artistic works in 2018. Qihao Weng (3 publications: High Spatial Resolution Remote Sensing: Data, Analysis, and Applications; Remote Sensing Time Series Image Processing; Urban Remote Sensing (2nd ed). This year the Library is recognizing Laura Harlow (Educational Leadership) for her EDLR 687 (History of Higher Education in the U.S) paper: “February 25, 1960: Stories of Inspiration, Risk, and the Fight for Freedom”. Laura was nominated by Dr. Kandace Hinton. Undergraduate Colleen Madden (Honors College) will be recognized for her GH 401 (Honors Independent Study) paper “An Investigation of Body Image Among NCAA Female Athletes”. Colleen was nominated by Dr. Greg Bierly, Dean, Honors College. 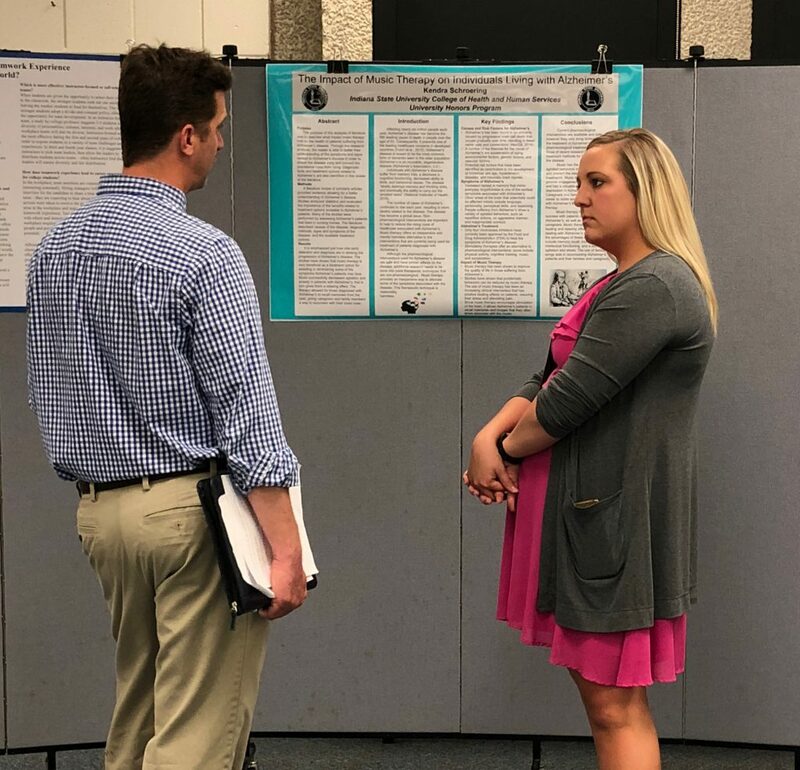 GH 401 students will be presenting their thesis research during poster sessions in the Cunningham Memorial Library Events Area. Sessions will be from 8:30am -11:00am, 12:30pm-2:30pm, and 2:30pm-4:30pm each day. The public is invited to attend and interact with the student researchers! Amber Stinson, Interior Architecture Design: Color: Is It Impactful? Angela Johnson, Biology; Science Education: Investigating Gender Inequality in STEM: What Can Be Done? Jak Kramer, Insurance and Risk Management: The Greek War: Are Fraternities and Sororities Positive or Negative Impacts on Undergraduates’ Lives? Olivia Sacopulos, Biology: Gender Differences in Pain: Is Research Skewed Toward One Gender? Chinonye Olumba, Chemistry: Are Smoking Alternatives Safer than Cigarettes? Stacy Galletta, English Teaching: Secondary Special Education: Are Future Teachers Prepared? Sarah Neeley, Human Resource Development: Save the Turtles! Is a Plastic-Free Ocean a Real Possibility? Emily Barber, Baccalaureate Nursing: Animal-Assisted Therapy: What is it and How Does It Help Patients Heal? Peter “Jacob” Panagouleas, Accounting: How Will a Tax Return Completed Last Year Compare to This Year? 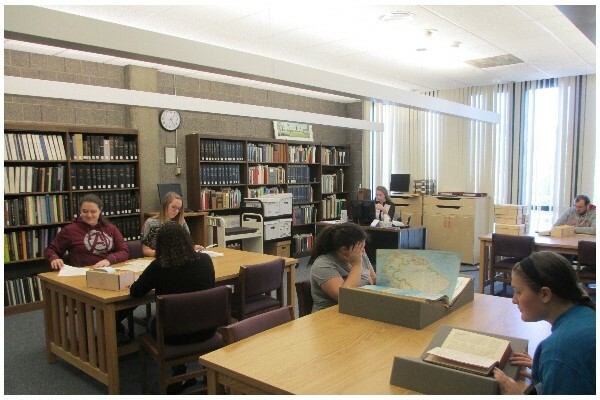 Starting May 14th the Special Collections Reading Room will be open by appointment only for the summer months. Researchers should contact 812-237-2610 to make an appointment. The Special Collections Department of the Cunningham Memorial Library holds the University’s unique physical and digital collections. Special Collections consists of four units: Rare Books & Manuscripts, University Archives, Digital Initiatives, and the Permanent Art Collection. 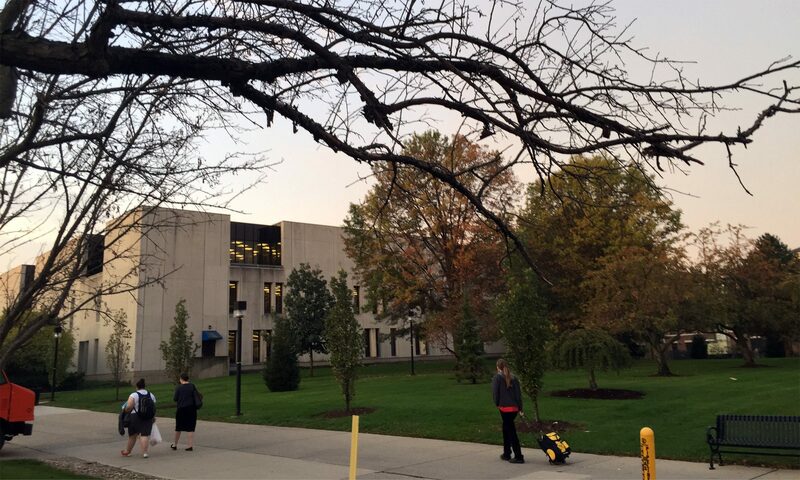 These four units hold, preserve, and make accessible art, University’s history, local history collections, the world-famous Cordell Dictionary Collection, Rare Book collections on a variety of subjects, and provide digitization and data management support for the University’s Institutional Repository, Sycamore Scholars, and the community digital memory project, Wabash Valley Visions and Voices. Brittany Kemp, Psychology: Do crime and medical status predict medical parole decisions? Breanna Blythe, Marketing: Being a team player: How does the collegiate teamwork experience actually prepare you for the real world? Elizabeth Tarr, Accounting: Bitcoin: Friend or foe? 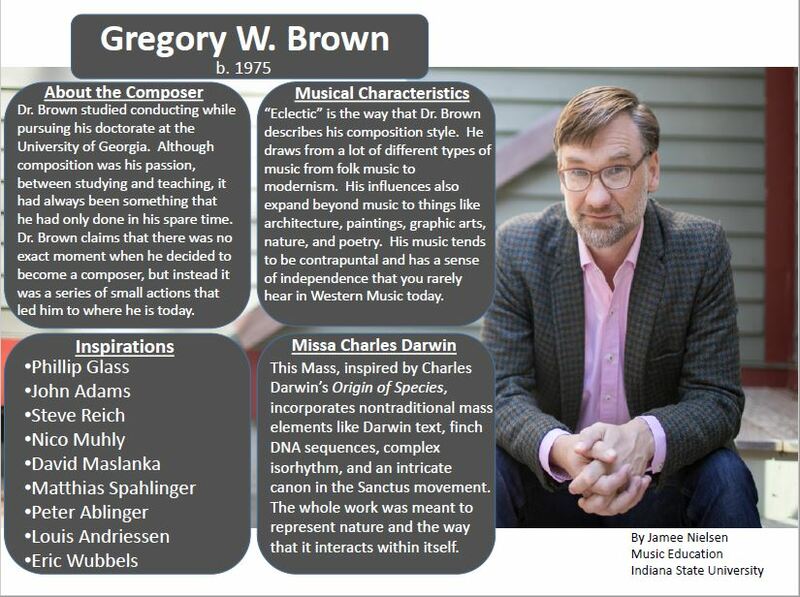 Students in Mus 351 (with Terry Dean) connect with a living composer, conduct interviews and create a poster. 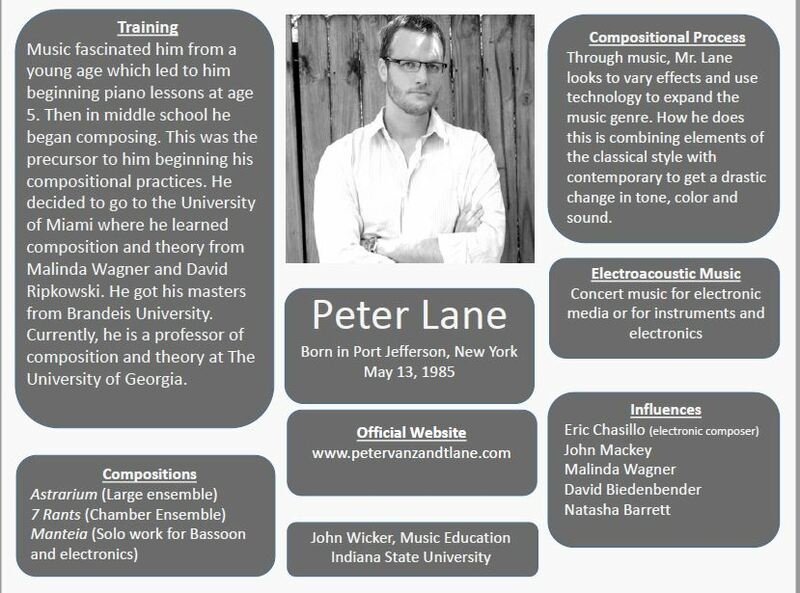 Come and visit with these students and learn about what is going on with modern composing – be prepared to listen to excerpts from recordings, interviews, etc. 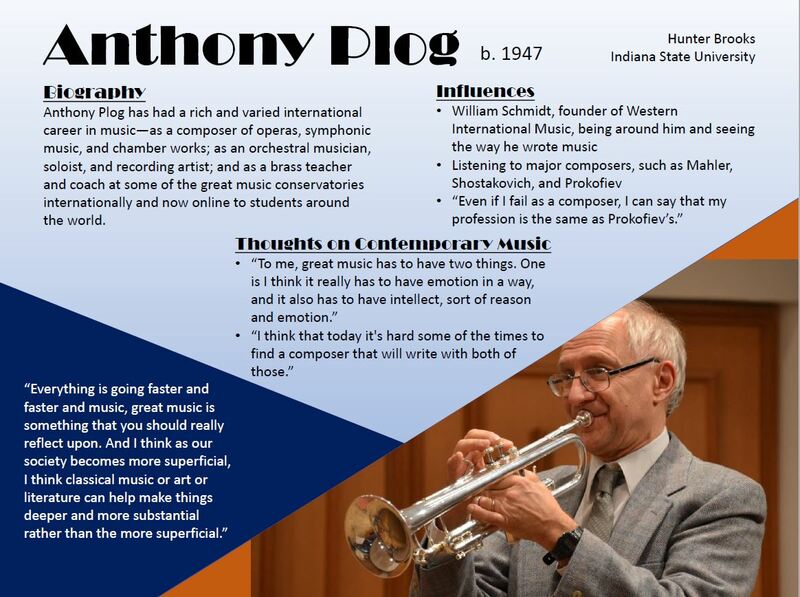 Sample Posters – come see the rest!